A Democratic representative from Pennsylvania’s 112th district wants to introduce a bill that would make it harder for victims of abuse to file for protective orders, and he’s looking for other lawmakers to back him up. 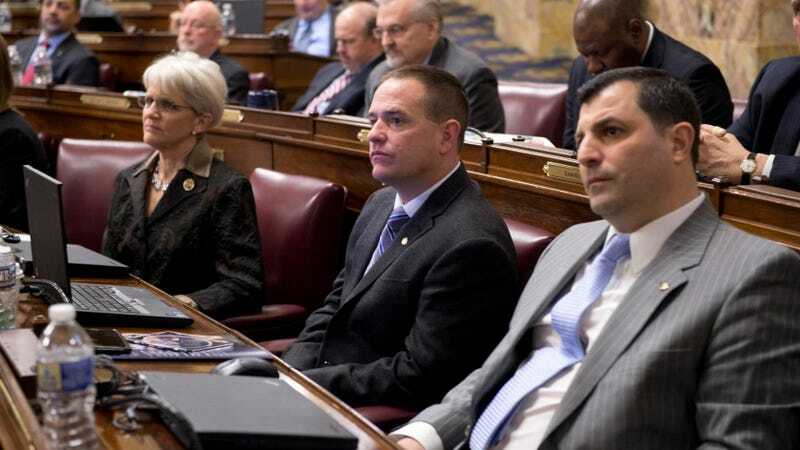 Representative Kevin Haggerty is working on a bill that would require individuals seeking protection from their violent spouses but lack “substantive evidence” to take drug and alcohol tests in order to receive support. I will be introducing legislation requiring the drug and alcohol testing of individuals filing petitions for [the Protection From Abuse] orders with a lack of substantive evidence. In these contentious situations, a clear mind is required to make the best judgement and my legislation will help ensure petitions are filed without the negative influence of intoxicating substances. I ask that you please join me in co-sponsoring this timely and important legislation. The Protection From Abuse Order grants victims of domestic violence certain protections from their abuser, such as establishing child custody, temporarily removing the abuser from a shared home, and orders against stalking and harassment. Currently, in order to receive such protection, victims file a petition and a judge grants a temporary protection order if they believe the victim is in danger. The judge will also schedule a hearing to decide if the petitioner should be granted a final protection order. A judge granted Jennifer a temporary protection order, which barred Haggerty from their home. According to Pittsburgh’s NPR station 90.5 WESA, she did not go on to press charges. There is a growing, yet thus far unexplored contingent of PFA petitions filed under false pretense. The manifestation of this trend has been seen across the country. One recent study of PFA petitions in Delaware found 16% of petitions to have been filed fraudulently, with the petitioners leveling false accusations against their partners most frequently in messy break-ups, separations, and divorce cases. That 16 percent figure is a reference to a 2015 report from the Delaware News Journal that found 16 percent of the petitions were dismissed because “no abuse was found at trial.” (The Domestic Violence Crisis Center’s annual report for 2016 stated 15 percent of petitions in Delaware were dismissed because no evidence of abuse was found.) The “fraudulent” language is Haggerty’s alone. As the Scranton Times-Tribune reported, in her PFA petition, Jennifer Haggerty wrote that her ex-husband “head-butted her, threw her to the ground, pulled her hair, pushed her, threw other objects at her and punched her in the leg,” including, at times, in front of their two children.